ScreamWorks Records once again teams up with The Drift composer James Griffths to present his latest finely tuned chiller score on the Screamworks label. Directed by Richard Rowntree based on his 2015 short film, Dogged is a horror that deals with the sins of the past and their effects on the present. When Sam returns home to the tidal island where he grew up to attend a funeral of a young girl, he soon realizes that the community he had once left has changed considerably. He soon uncovers disturbing secrets about his former home and the seedy underbelly of the small community harbors more than just a few secrets. 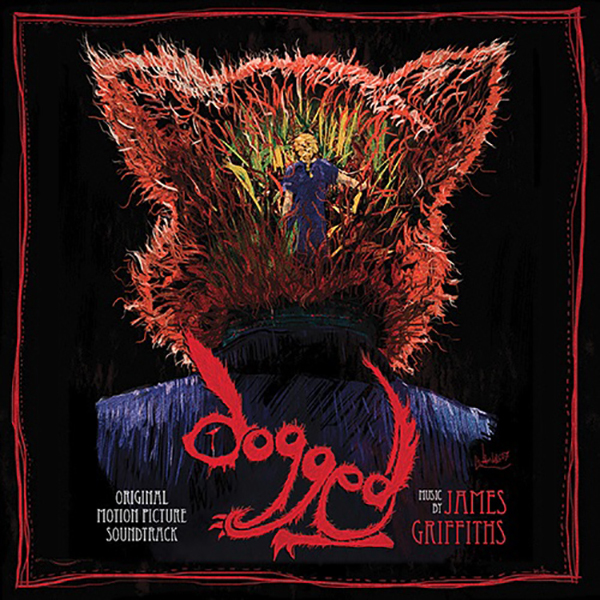 "My score for Dogged is very much a homage to the sinister detail that the movie itself presents" reveals composer James Griffiths about his contributions to the film. "The Folk Horror genre thrives by its gripping detail, extended plots and unpredictable sub stories. Musically I have scored to continue this detail, and nothing creates so much exposed detail than a string quartet. The tension and grittiness of their performance acts as its own unique character and I wanted to continue that musical character throughout the score. Combining the quartet with electronics, sound design and gut wrenching vocals presents an audio experience I am proud of composing for this wonderful movie." MovieScore Media has previously released the first feature film score of composer James Griffiths; The Drift was a finalist at the Music and Sound Awards 2016, was nominated for The Siren Award for Best Original Composition in a Feature Film and won Best Surprise at the Soundtrack Geek Awards. The first ever CD release of the score by the label expanded the program with Darkwave Edge of The Storm, a sequel set in the same universe. Since then, James has shown his lyrical side in Marianna Dean’s award-winning short film In the Park and collaborated with Frank Ilfman on Trent Haaga’s insane cult film, 68 Kill.